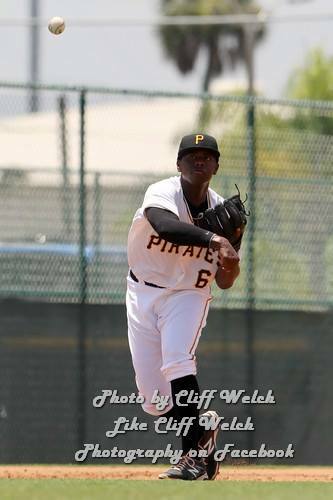 Former Yankee Charlie Hayes’ 18-year-old son, Ke’Bryan, the top draft pick of the Pittsburgh Pirates last month, continues to tear up the Gulf Coast League. He went 2-for-5 yesterday against the GCL Blue Jays, with a double and a walk. The GCL Pirates won 4-3. Ke’Bryan is hitting .400 in his first few weeks as a pro ballplayer.